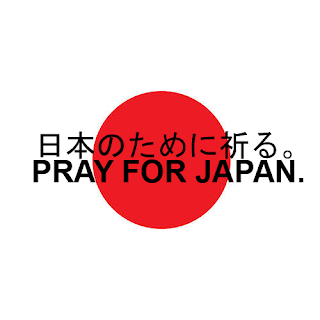 As everyone knows, Japan was devastated by a massive earthquake, tsunami and nuclear issues as well. Everyone who has seen the videos knows what a difficult time the Japanese people are going through right now. This event happened without warning, and with no time to react. This could happen to all of us at any time as well, and we could very well be those victims. In times like these, any help is greatly appreciated, whether it's helping to search for lost loved ones in rubble, a doctor to perform needed medical care, or simply a warm bowl of soup to eat. Many people lost everything, their homes, their possessions, and worst of all, their families. They literally have nothing but the clothes on their backs. Being a former long-term resident of Japan, and still having a lot of family and friends there, this event has hit me very hard. The people of Japan need our help, and there is something you can do that will directly affect and make a difference for the victims. The Red Cross is a very active organization in Japan, and they are one of the groups heading the operation to help the people of Japan. They are providing all sorts of services such as providing food, shelter and medical care. You can see them on the news programs on the front lines doing their best to ease the burden of the victims. If you donate to the Red Cross, your donation will go directly to this operation. Please, even if you can only spare a little, it will make a difference. Also, Rogers and Fido users can donate directly from their phone, you can text ASIA to 30333 to donate $5 to earthquake relief , with 100 per cent of the donations going to the Canadian Red Cross Japan Earthquake/Asia-Pacific Tsunami fund. Very thoughtful for you to take the initiative to set this up. I've donated every month for 2 years now. Every little bit counts. should be enough for at least one reactor cooling system or a few hundred homes?? They should build an island in the shape of a race track, and then build the track under it. And air condition that b!tch. If it's not metal its POOP.